The International Cities of Refuge Network (ICORN) offers a place of refuge to writers and human rights defenders who cannot live and create freely in their own countries because of persecutions. It was established in Norway in 2005. One of the network’s originators was Salman Rushdie, whose novel, The Satanic Verses, raised violent protests throughout the Islamic world and resulted in a fatwa being put on the author by Ayatollah Khomeini, which obliged each faithful Muslim to kill the writer. According to Rushdie’s idea, the aim of ICORN is to promote inalienable values of the freedom of speech and creation by building a network of international solidarity and co-operation. During 10 years of its activity, ICORN has found temporary places of refuge for several hundred writers, intellectuals, bloggers, and human rights activists. ICORN co-ordinates the Shelter Cities program and is an important organisation co-operating with governments of various countries, the European Commission, the United Nations, UNHCR and the International PEN Club in defence of human rights for the purpose of implementing a protective policy for authors persecuted because of their activity. The international situation results in a growing number of applications for refuge sent by writers, journalists, bloggers and human rights activities, particularly from Bangladesh, Syria, Burundi, Iraq, Iran and Ethiopia. In 2014, ICORN received 70 applications from persecuted writers / artists, and 15 new candidates were granted ICORN residential stays in member cities. The network was expanded with six new cities, including Dalarne, Eskilstuna, Norrköping, Harstad, Levanger and Linköping. In 2015, ICORN received 109 applications for help. ICORN offered refuge to 28 writers and artists in 2015, which means almost twice as much as in 2014. The new cities that joined ICORN in 2015 include Pittsburgh, Oaxaca, Lucerne, Eskilstuna, Ithaca (NY), Wrocław and Uddevalla. Today ICORN creates a dynamic network of over 50 cities, and its activity is one of the strongest voices in defence of freedom of opinion and expression as well as international solidarity. The group of ICORN member cities includes, among others, Amsterdam (Netherlands), Aarhus (Denmark), Barcelona (Spain), Bergen (Norway), Bø (Norway), Brussels (Belgium), Chiusi and Tuscany region (Italy), Copenhagen (Denmark), Dalarne (Sweden), Drøbak (Norway), Elsinore (Denmark), Eskilstuna (Sweden), Frankfurt (Germany), Gävle (Sweden), Girona (Spain), Göteborg (Sweden), Hannover (Germany), Harstad (Norway), Haugesund (Norway), Ithaca (USA), Jönköping (Sweden), Karlstad (Sweden), Krakow (Poland), Kristiansand (Norway), Levanger (Norway), Linköping (Sweden), Lillehammer (Norway), Ljubljana (Slovenia), Lucerne (Switzerland), Malmö (Sweden), Mexico City (Mexico), Molde (Norway), Norrköping (Sweden), Norwich (Great Britain), Oaxaca (Mexico), Oslo (Norway), Paris (France), Pittsburgh (USA), Reykjavik (Iceland), Sigtuna (Sweden), Skåne (Sweden), Skellefteå (Sweden), Skien (Norway), Stavanger (Norway), Stockholm (Sweden), Tuscany (Italy), Tromsø (Norway), Trondheim (Norway), Uppsala (Sweden), Västra Götaland (Sweden),Växjö (Sweden). Krakow is an active member of ICORN.Representatives of the City of Krakow and the Villa Decius Association took part in ICORN meetings in Brussels, Stockholm, Krakow, Ljubljana, Amsterdam and Paris.From the 14th till the 16th of May 2013, the City organised an extraordinary international conference Writing Freedom together with ICORN and PEN International WiPC (Writers in Prison Committee). The conference was attended by almost 200 representatives of the literary world: writers, critics, translators, managers and officers of literary institutions from 50 countries, including the United States, Canada, Syria, Philippines, India, Eritrea, Ivory Coast, Mexico, Bahrain, China, and Sri Lanka. The meeting was attended by representatives of the most important global institutions engaged in protection of the freedom of speech. On the 24th of May 2014 in Ljubljana (Slovenia), during the annual ICORN assembly, Danuta Glondys, Director of the Villa Decius Association, was elected to the Board of ICORN. This prestigious body includes also representatives of other ICORN member cities: Peter Ripken (Frankfurt), Leikny Haga Indergaard (Bergen), Jasmina Arambašić (Ljubljana), Annika Strömberg (Uppsala), Chris Gribble (Norwich). 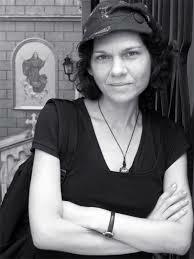 Maria Amelie (real name: Madina Salamova) – a young writer of Russian descent. She was born in Vladikaukaz in North Ossetia. For political reasons and in fear of being persecuted, Maria Amelie’s family moved illegally to Finland and then to Norway. During the following 8 years, Maria Amelie completed studies and worked in the cultural sector. In 2010, her debut book entitled Illegal Norwegian was published, causing a media storm and a nationwide debate on the perception of immigrants and refugees in Norway and in Scandinavian countries. The book became a bestseller and stirred public opinion, but it also became the reason why the writer was told to leave the country. This story divided Norwegian society into followers and opponents of the immigration policy. 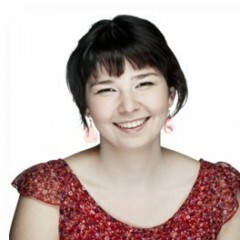 On the 12th of January 2011, during her speech in the Fridtjob Nansen School in Lillehammer, Amelie was arrested.She was kept in a prison for refugees for 7 days.In spite of huge support from the media, protests on the streets of Oslo and reactions of international institutions, she was deported to Moscow.Then she was granted cultural refuge at the Villa Decius Association in Krakow.In Krakow, she completed her second book about her experience following imprisonment:deportation and seeking of asylum.Having returned to Norway, she started work on a theatrical play based on her first book together with Nina Wester.The play was successfully staged in Opole in June 2011. Kareem Amer (Abdulkareem Nabil Soliman Abdulhameed Amer) – a young Egyptian blogger, journalist and human rights defender.He was born to a pious Islamic family in 1984. 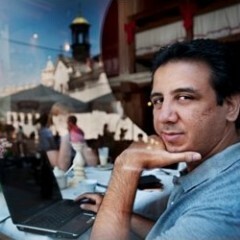 In the years 2004-2006, he published a cycle of entries on his blog that criticised the Al Azhar University for the dissemination of extremist ideas and revealed information about the regime of President Mubarak.He was the first Arabian blogger who was sentenced to 4 years of imprisonment for ‘insulting Islam’ and ‘disseminating false information about President Mubarak.’This sentence caused a series of protests worldwide, which were expressed, among others, via freekareem.org – a website created especially for this purpose. In spite of having been released from prison, he was persecuted, tracked and intimidated.He received death threats from Islamic extremists.Amer’s activities exposing mechanisms of action of fundamentalists coming to power, advocating the secularity of the state, the right to freedom of religion and conscience and the transformation of Egypt into a state of freedom and tolerance were highly esteemed by the international community of journalists, reporters and ICORN experts.PEN International and The Writers in Prison Committee PEN spoke in his defence.For his activity, Kareem Amer was granted the Reporters without Borders prize in 2007.Being widely available on the Internet, his texts were often quoted in comments of leading press agencies both as the uncompromising voice of the young generation of Egyptians that led to political and systemic transformations and as an important example of the use of electronic media and the Internet for demanding respect for human rights and the right to the freedom of religion, opinion and speech. Mostafa Zamaninija (1957) – an Iranian writer, publisher, academic teacher and agent.He has published many books dealing with Iranian history and culture, as well as poetry, novels, screenplays and essays.His novels (for example, Kudām zamīn shādtar ast, Bigū bih Māh Biyāīd, or Rāh-i Darāz-i Istānbūl) were banned in Iran.His two-volume work Farahan, An Ancient Land became a point of reference for historians exploring the literature, history and culture of ancient Persia.From the 1980s, Zamaninija was a target of persecutions, arrests and censorship by Iranian authorities, which became particularly intense after the presidential election in 2009. 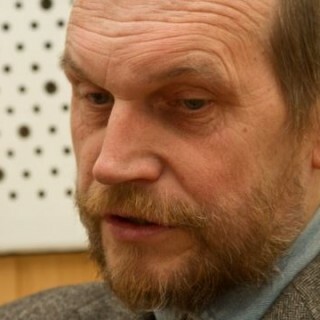 During that period, he wrote an open letter to the government, in which he criticised censorship and the treatment of the Green Movement.Consequently, Zamaninija was arrested, his house was searched, and his computer, books and other publications were confiscated.He arrived in Krakow in 2013 to continue his research and write the third volume of Farahan. 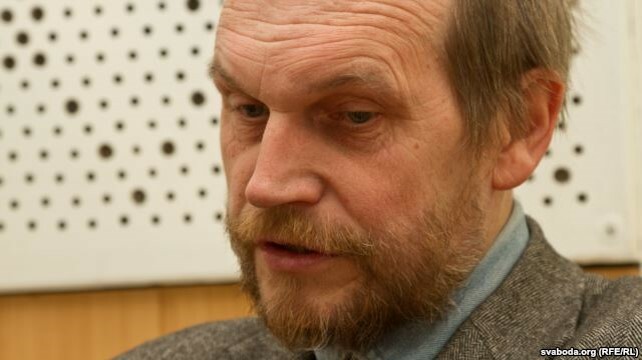 Lavon Barshcheusky (1958, Polotsk) – a Belarusian writer, philologist, translator, poet and politician.He studied philological sciences at the Institute of Teaching in Mińsk.From 1991, he was Vice-Director for Science and Methodology of the Belarusian Education & Cultural Centre of Human Sciences at the Ministry of Education of the National Belarusian Republic (since 2003, after its official dissolution by the Belarusian government, this institute has functioned illegally as the Belarusian Secondary School of Human Sciences).In 1991, after the declaration of Belarus’ independence, he began his political activity.In the years 1990-1995, he was a member of the 12th term of the Supreme Council of the Belarusian Soviet Socialist Republic/Council of the National Belarusian Republic.He was the leader of many parliamentary working groups devoted to the educational system and national minority issues.In 1995, Barshcheusky took part in protests against laws of President Alexander Lukashenka.Because of this participation, he was excluded from the Parliament in the years 1996-99.In the years 2007-2009, he was again the chairman of the opposition party Belarusian People’s Front.In spite of political discrimination, he was still politically active and promoted the Belarusian issue abroad.Since 2012, he has been a columnist of Narodnaja Wola – the only oppositional daily newspaper in Belarus.He has translated works from Latin, ancient Greek, German, English, French, Polish (including works by Johann Wolfgang Goethe, Berthold Brecht, Franz Kafka, Stanisław Wyspiański, Bruno Schulz, Czesław Miłosz, Sławomir Mrożek).In the years 2003-2005, he was the chairman of the Belarusian PEN Club.He is the author of four books and a co-author of fifteen works; he has written prefaces to several editions and has translated literary works and historical dissertations of over forty authors into Belarusian.He has been the editor of fifteen editions.In total, he signed a few hundred publications with his name.His scientific achievements include works on the methodology of language and literature, linguistics and literary studies. 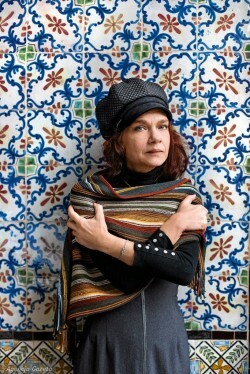 Asli Erdogan (Istanbul) – Turkish writer and journalist. Since her novel The Sea Shell Man was published in 1994, she has written over a dozen books, including novels, short stories, collections of stories, poetic prose, as well as a selection of political essays. 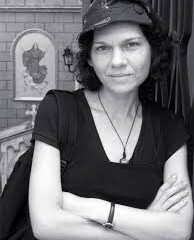 She has worked as a columnist and journalist – since 1998, mainly for the leftist newspaper RADİKAL and Özgür Gündem, a bilingual Kurdish newspaper she has regularly collaborated with until now. In her books and articles, she takes on subjects such as state-sanctioned violence, discrimination and human rights violations. She has been a freedom activist since 1993, as a result of which she has been persecuted, fired multiple times and has spent over a dozen years in exile. She studied computer engineering (received her bachelor degree in 1988) and physics (master’s degree in 1993); she wrote her master’s thesis about Higgs physics in Geneva, where she worked as a high energy researcher at CERN, the European Organisation for Nuclear Research. Later, she moved to Rio de Janeiro, where she began writing her doctoral dissertation; however, she gave up on her academic career in 1995. After a two-year stay in South America, she returned to Istanbul and began her writing career. Her literary work, largely ignored in her own country, has been the subject of over a hundred articles, essays and academic papers published in the leading newspapers and magazines throughout Europe, including Lire, Le Monde, Frankfurter Allgemeine Zeitung, Die Welt, Neue Zürcher Zeitung, Die Presse and Aftenposten, as well as analyses by such writers as Orhan Pamuk, Ingo Arend, Ruth Klüger and Eugene Schoulgin. 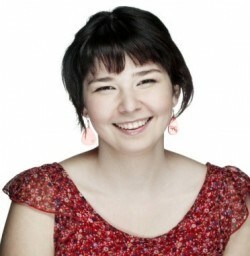 The magazine Lire placed her on the list of “50 writers of the future”, naming her work a modern classic. Erdogan’s work has been translated into many languages, including English, French, Italian, Swedish, Norwegian, Arab and Bosnian. Fragments of her prose have been staged in Milan and presented in the theatre. One of her short stories has been turned into a film in France. Felix Kaputu (Congo) – The sixth ICORN resident in Krakow is the Congolese writer, academic, literary critic, social activist, and Fulbright scholar, Prof. Felix Kaputu. Born in 1959 Felix Kaputu is a specialist in the field of African Studies, art and philosophy. In his academic work, he also studied issues of gender, African mythology and literature. He conducted research and taught in the US, Japan, Belgium. In 2003, he was awarded a Fulbright scholarship as well as one at the University of California. He is the author of six books and nearly 60 publications concerning, among others topics, the difficult situation of women in Africa, HIV and AIDS. In May 2005, Kaputu was arrested without a warrant by the National Security Agency (ANR). He was accused of being responsible for the secession movement of 20 000 soldiers in the province of Katanga, smuggling weapons and inciting rebellion. According to official report he was to be sentenced to 30 years in prison or death. He was detained for 10 days and was in custody, where he was denied food and threatened with death. 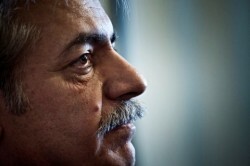 He witnessed the use of physical violence and mysterious disappearances of other detainees. Moved to the correctional facility of Makala in Kinasha, Kaputu was finally released thanks to the intervention of Amnesty International, pressure from the media and academia. After his release from prison he was under constant supervision, which made it impossible for him to return to the university. In 2006, he left the country on a Scholars at Risk scholarship.